Board up Avengers Tower! Lock down the Baxter Building! The ravenous hordes of Marvel Zombies are invading ... the Marvel Universe! That's right, the next chapter of the MZ saga is a non-stop in-continuity gorefest with major implications for at least one Marvel hero! 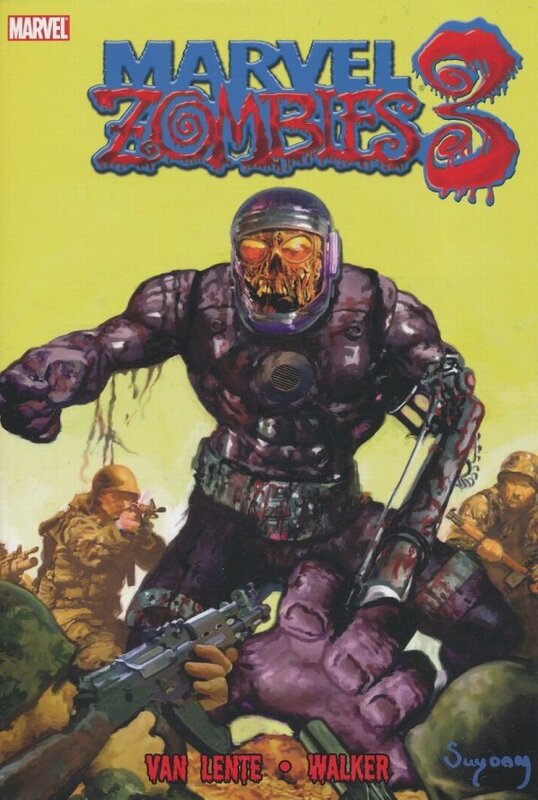 When the super-undead stumble into the MU from the Man-Thing's Nexus of All Realities, all of Florida is quarantined against the zombie plague. Time is quickly running out for a cure, so the Initiative sends a most unlikely group of heroes into the Zombieverse on a desperate mission to find the one item they need before the whole MU is consumed! The scream team of Fred Van Lente (INCREDIBLE HERCULES) and Kev Walker (ANNIHILATION: NOVA) unite for a Marvel Zombies story like you've never seen before!